Using 3G wireless technology in handsets enables popular multimedia features for consumers; the same 3G technology can pay huge dividends for embedded industrial applications. The 3G benefits that enable popular consumer handset applications – greater bandwidth, faster speeds, and simultaneous voice and data transmission – can make a whole host of new features possible in industrial devices, such as handheld terminals, surveillance systems, autonomous robots, medical devices, kiosks and video billboards. Is 3G worth the investment for your project? The most notable advance is speed. Under the third generation wireless standards, it’s possible to reach download speeds of 14.4 megabits per second and upload speeds up to 8 Mpbs. For industrial applications, that speed increase means it’s now possible to wirelessly stream high-quality video from surveillance systems or to kiosks or video billboards. The other major change is the ability to send voice and data simultaneously over the same wireless connection. This advance can allow your field workers to talk on a data terminal to dispatchers while uploading data, or the ability to add video conferencing to a tourist kiosk. Are these features you could use? The 3G technology offers so many options that there’s no “best” way to add it to your device. Here are five steps to help make your 3G project successful. There are a few key questions you'll need to consider during the requirements phase. What cellular networks will be available for your device? Different radio technologies are supported in different areas of the world. For example, most North America cellular systems use CDMA, while GSM is the standard in much of Europe, Australia, Asia and Africa. How many devices will you ship? The answer will largely determine the type of radio you should use. An embedded radio chipset designed into your circuit board requires the most engineering, development and certification effort, but has a low per-unit cost. If you plan to ship more than 100,000 units, the sizeable upfront investment may be worth it. For low-volume projects of less than 1,000 units, an air card or dongle radio is often a good choice. R&D and certification costs are minimal – in some cases, it's practically plug-and-play – but individually these radios need the most space and cost the most. For production rates of up to 20,000 to perhaps 100,000 units, embedded radio modules are ideal. The embedded module is an enclosed device with the certified radio chipset. Just add an antenna. Do keep in mind that if you need to use the 3G radio for voice calls, an external radio is not a good choice – even for low-volume projects – due to the work you’ll need to do to route the voice paths onto external radios. What is the lifespan of your device? Be aware that just because you don't need the high-speed capability of 3G now, you may need it in the future. Consider the data plan cost over the entire life of the device. Older technology (2G, 2.5G) may not maintain its cost advantage over the lifespan of the device if network operators offer incentives to move traffic onto the newer 3G infrastructure. Additionally, network operators may phase out older technologies. To operate on a commercial network, a 3G radio must be certified by several organizations including the network operator. In short, the more embedded your radio, the more certification work you must do. With an air card or dongle, you may only have to work with your cellular network. With a fully embedded radio, you’ll also have to win government (i.e. Federal Communications Commission in the United States) and 3G standards certification. --Get your wireless carrier's requirements as early as possible and design to those specifications. --Work with a certification house to do advanced testing before you apply for certification. --If the economics work out, consider using a pre-certified radio. The size of your radio has huge implications on your hardware design. If you're using a large radio, understand that you may need to make housing and electrical changes to incorporate it. Also, make sure that you have the necessary hardware interfaces available. Choosing an antenna also requires careful consideration. A bad antenna choice or placement can void the capabilities of a high-performance radio. The antenna is often the cause of certification problems. Test early to uncover problems when modifications are less costly to make. You must also develop software that integrates the hardware into your system. If using a commercial operating system such as Windows Embedded CE, this typically involves modifying a radio software stack, integrating radio drivers and modifying the power management architecture to support the radio module. Integrating the radio is not an isolated code addition. Numerous hooks are required. A USB 2.0 driver will need to be integrated with the USB controller on the embedded radio or mini-module. Voice and data pathways must be carefully programmed. An option for streamlining software integration is to choose an embedded radio with pre-integrated, pre-tested software. To use your device on a 3G network, you will need to work with the network operator to provision the phone. You can either activate the device during production, installation or the first time that it is used. For example, a vending machine technician could easily activate it when installing it on location. Handheld terminals and anything designed for resale should probably be provisioned during manufacturing. Adding a 3G radio can open your device to advanced new features and capabilities, even in remote locations. By carefully considering your needs now and in the future, exercising careful attention to detail throughout the development process, and using pre-built components and software when appropriate, you can take advantage of its potential while minimizing development time, design complexity and expense. I wrote earlier on the various Smartphone Operating Systems available in the market today – and which ones of them are expected to thrive or die. Recently at the CTIA, Peter Chou, the CEO of HTC Corp said "There are probably three to four operating systems that will eventually exist in the market". So I thought it would be relevant to take a look at the various Mobile OS’ in the world today, and their strategies to dominate our mobile devices. Symbian (Nokia): Nokia's use of the Symbian operating system is the sole reason the platform is found in nearly half of all smartphones. The handset giant said it controlled 39% of the total cellphone market at the end of last year. The Finnish telecom giant in December reiterated its support for Symbian, which was opened up in February in an effort to attract other handset makers, and is now driven by the Symbian Foundation. Nokia, however, is also tinkering with a next-generation software called MeeGo, which is jointly run by the handset maker and Intel. Nokia plans to use MeeGo in its high-end smartphones, relegating Symbian to mid-tier smartphones and lower-end devices. It's clear why Nokia is hopping on its own advanced software; it has been a while since there's been an eye-catching Symbian phone in the market. iPhone (Apple): Ever since the iPhone debuted in 2007, its rivals - most of which are far more experienced in the business - have been chasing the company and its iconic handset. The iPhone nearly doubled its operating system market share to 14.4% last year, according to Gartner. While other companies have closed the gap on the iPhone's features and design, it still remains at the head of the pack, providing a visible lift to carriers that sell the device. BlackBerry (Research In Motion): Research in Motion Ltd.'s (RIMM) Blackberry line is another established player that's not going anywhere. The phones are a ubiquitous sight in the corporate world, but it also has done well branching out into the consumer world with devices such as the Pearl. The company also enjoys broad carrier support, while the iPhone has to rely solely on AT&T Inc. (T). The company, however, faces criticism that its operating system appears dated when stacked compared to the flashier smartphone devices from its rivals. Android (Google): The platform getting the most recent attention has been Google’s Android mobile operating system. Motorola Inc. (MOT) used Android for its big comeback phone, the Droid, which was launched with large fanfare through Verizon Wireless. While it still has a relatively small presence in the market, Gartner says Android will become the No. 2 mobile platform within two years. But its open approach may lead to further customer confusion and the fragmentation of the market. Windows Phone 7 Series (Microsoft): Microsoft's Windows Mobile software has been in a downward spiral as rivals bypassed it. But the software giant silenced some critics by tearing up the platform and starting anew with Windows Phone 7 Series. While industry observers applaud the Zune-like feel, there a lot of questions remain. The first of the new devices won't launch until the holiday season, giving its competitors a lot of time to widen the gap. It's unclear how much support it will get from application developers, the telcos or handset makers. Programs that run on the older version of the software are no longer compatible. Microsoft is rallying support behind the new platform, but how much traction it will ultimately gain is yet to be seen. 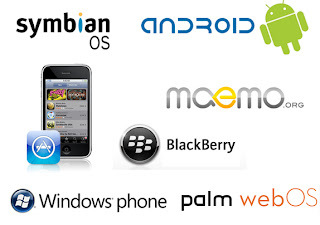 WebOS (Palm): There remain more questions about Palm’s future. It was the most buzz-worthy company a year ago with its Pre and WebOS platform, but much of that attention has faded. Its phones sold decently at Sprint but have struggled at Verizon. The company hopes to put more marketing muscle behind its products, and said AT&T would carry its products in the next few months. Bada (Samsung): Samsung is also trying its hand at its own operating system, dubbed Bada. The company has traditionally relied on other platforms, such as Windows Mobile and Android, for its smartphones. The company, believes it can juggle different platforms and counts this as their competitive edge. LiMo (Misc. ): The last mobile operating system is LiMo, which has been slow to win over carriers and customers, and has been far overshadowed by its rivals. It counts a number of partners, including Verizon, but so far has failed to make a dent in the market. In January of 2009, shares of Palm traded at a little over $3 as everyone awaited details of the once-mighty smartphone maker's plans to save itself from certain death. With cash infusions from Elevation Partners, and cutting edge product development by Jon Rubinstein, the revered ex-Apple product-guru, it seemed like Palm had a fighting chance. In the wake of the Pre's successful unveiling later that month at CES, Palm's stock price more than doubled, and optimism about the Pre's prospects eventually drove shares to a high of over $17 in October of last year. But in February this year, Palm stumbled big. Sales of its Pre and Pixi devices were way below Palm's and Wall Street's expectations, and the company’s earnings reports showed that it has little cash left on hand. Rubinstein’s letter to Palm employees painted a grim, yet hopeful picture. On the news of this dismal performance, shares of PALM dropped all the way back down to $4. Timing: Carl Lewis once said “life is all about timing”. Palm’s launch of the Pre came a few weeks before the launch of the iPhone 3GS. While Palm’s choice of timing was probably aimed at taking the wind out of Apple’s sails, what really happened was the opposite. There were long lines outside AT&T & Apple’s stores whereas the lines outside Sprint stores were minimal. By the time the iPhone effect began to wear off, and as Palm started to regain its mojo (pun, intended), Google launched Android. Widely adopted by device manufacturers around the world, Android began (and continues to) grow at dizzying speeds. Marketing: Palm’s comeback ads should have been big and bold. Most importantly it should have highlighted the Palm brand, the Pre’s features and how the Pre was superior to the iPhone. Instead, Palm’s marketing campaign was widely regarded as being creepy. While the ad agency that made the commercial loved the fact that customers were creeped out by the ads, the joke was in fact on Palm, who bet the farm on the Pre – and lost. The App Catalog: One of the most exciting aspects of the Pre launch was the promise of a new and robust app catalog for customers, and a more open platform for app developers. But when the Pre launched in early June of 2009, the App Catalog had only about 30 apps. This number hadn’t changed much even after a few months. While Palm defended this by saying that the iPhone too did not have many apps at launch, they missed a critical distinction. The iPhone launched at a time when ‘apps’ did not exist. So Apple had the luxury of time to fine-tune the process and launch the ‘App Store’ at a leisurely pace. Palm on the other hand was launching its App Catalog when customers already had a benchmark – the Apple App Store. Palm’s offering was immediately compared to the Apple offering, and it paled in comparison. Carrier Selection: Palm’s choice to launch with Sprint was prudent. However, what wasn’t smart was the length of the exclusivity agreement. With AT&T driving sales through its iPhone exclusivity, and with Sprint sputtering along with its Palm exclusivity, Verizon was at a competitive disadvantage. Verizon responded with the Moto Droid and a $100 Million advertising blitz. The result? Verizon sold more than 250,000 Droid’s in the first week alone. When Palm eventually launched the Palm Pre Plus and Palm Pixi Plus with Verizon, it was targeted at women; and sales stalled. Although Palm and Verizon have realized their folly and have changed tactics, it just might be a case of ‘too little too late’. Expand carrier selection: Palm can no longer focus on a single-carrier strategy like Apple. Given its precarious cash position, it needs to increase cash-flow by offering its handsets through as many carriers as possible. There is already evidence that Palm is pursuing this strategy. Palm recently announced that the Palm Pre Plus and Palm Pixi Plus will be available through AT&T ‘soon’. Expand Internationally: Palm is already available internationally in Germany and is rumored to be heading to the UK in summer this year. Palm could focus on emerging nations where the iPhone is considered to be pricey, and where Android doesn’t have an established base yet. Marketing: Palm has learnt some hard lessons in this area, and has fine-tuned its advertising considerably. But some analysts and bloggers still think it could be better. Partner, partner, partner: While it is true that smartphones are only as good as the apps they run, Palm should focus on partnering with web majors like Amazon and eBay to bring tighter integration between its partners and app developers, thereby opening up new revenue streams for both parties. If all else fails, license WebOS: This is akin to Google’s Android strategy; licensing Android while also launching its own devices like the Nexus One. If Palm were to adopt a licensing model for smartphones and other devices, it might just see its business improve. But this strategy is not without its risks; Android already has quite a bit of traction in the market, as does Symbian. And soon, Windows Phone Series 7 will debut, giving device manufacturers yet another option. Ultimately, time will tell what road Palm will ultimately take. And time is what Palm does not have enough of. India is one of the most challenging mobile markets to analyse. Firstly because of its gargantuan size, secondly because of its sub-regional diversity, and last but not least because of the emergence of new regulations. India is the second largest mobile market in the world and is bigger than any other region (apart from Asia Pacific of course); it recently reached 525 million connections which makes it twice the size of the USA and as big as Western Europe. Wireless Intelligence's latest set of connection forecasts show that India is playing catch up with China and there’s a very high probability that in just over five years it might become the world’s largest mobile market. That said, it is very challenging to predict how the Indian market will behave in the coming years. The tremendous growth that the country has registered over the past few years and recent quarters is linked to the phenomenon of multiple connections per user. It is well-known that users tend to have more than one SIM card (my gut feeling would be an average of four per user) that they select depending on the territory they travel to or, more commonly, the latest cheapest prepaid deal on offer (85% of the user base in India is on prepaid tariffs). If tomorrow the regulator introduced a new regulation – like in Vietnam – limiting the number of SIM cards per user and asking all operators to remove inactive SIM cards from their subscriber base to report active subscribers, we would see operators’ figures shrink dramatically and market shares would be redistributed, to some extent, reflecting a very different picture. This phenomenon of multiple connections per user is today distorting the market seasonality. Well, actually, I believe that the way Indian operators are reporting is hiding all sense of seasonality in the market. Take BSNL in Rajasthan as an example; in 1Q09 they reported quarterly net additions of 306,940, then reported a loss of 22,347 the following quarter but went back up by a staggering 324,940 net additions in 3Q09. Such a bumpy ride is often linked to either a) the launch of limited prepaid offers, b) the closure of part of their networks in the area, or c) the increase in network coverage. And we’ve got plenty of examples of operators which recently reported odd fluctuations in quarterly performances within several circles in India. On top of that, not only is seasonality non-existent, but in some circles market penetration is meaningless. Since we’ve broken out our forecasts by circles, we’ve done a quick analysis on demographics using official government figures. The aim was to identify the potential population that mobile operators could target per circle – notably when launching 3G. So we came up with a basic equation that takes into account literacy and poverty levels, GDP per capita, number of students and workers, the share of rural populations, and so on. We have streamlined population figures to a more granular level which we can therefore use as a threshold to estimate the logical maximum penetration per circle. But the current market dynamics (as explained above) make it almost irrelevant at the moment. For instance, in the Metros, the market penetration has recently reached 137% in Mumbai, 294% in Kolkata, 151% in Delhi and some 263% in Chennai. But our streamlined population figures reflect peaks of 267% penetration in Mumbai, 556% in Kolkata, 295% in Delhi and 497% in Chennai! Obviously, both sets of penetration figures are our own estimates and are being used cautiously by our analysts to inform market growth scenarios, but even in Metros they can almost be dismissed when forecasting market growth as they do not reflect any logical maximum. Other factors are therefore taken into account to accurately forecast from market share assumptions to circles and regional benchmark. Nonetheless, even though competition is intense in Metros, more operators are still launching their services there and investing money to cover the most penetrated part of India. I consider any new commercial launches in Metros as brave moves but if I were an investor I would rather focus on rural areas since that is where organic growth is coming from. Our latest set of forecasts clearly shows that the growth in Circles A, B and C are greater than the growth in Metros. Hence, we applauded the recent launch of new entrants, Uninor and Stel, in areas such as Bihar, Uttar Pradesh (West and East) or Orissa. Having said that though, some circles such as North East India are showing rather low penetration rate at present, but its growth rate is amongst the lowest in Circle C. There’s therefore plenty of room for growth in some areas but the pace of adoption highly depends on network roll-outs and regulations. The role that AUSPI, COAI, TRAI and DoT play within the mobile industry in India is crucial. Local authorities have a huge task to monitor the growth of the industry and regulate it in line with the country’s economic and political priorities. Mobile number portability (MNP) is one of the new regulations which is likely to strongly impact mobile operator performances – in the same way it affected the Brazilian market. But MNP is following the 3G curse, as it is being delayed for security reasons, and has been pushed back again to May 2010. Another regulation already in place which was meant to filter market growth is the subscriber verification norm. But the DoT had to fine some operators in December last year for failing to adhere to it as they continued to register SIM cards under fake identities - especially in the northern circles of Jammu & Kashmir and Assam. One last example of the direct influence the regulator has on market growth can be found in recent headlines, as we read last month that local authorities in the city of Noida (Uttar Pradesh) shut down a quarter of the base stations in the city (some 190 towers) as operators installed them without planning permits. Finally, with the upcoming likely consolidation amongst operators, regulators have probably no time to rest. All this shows the level of granularity we have to immerse ourselves into when we forecast mobile growth in India. The trends and market dynamics listed above are just the icing on the cake though; more specific factors are impacting the market and its potential over the coming years. Now that 3G is slowly but surely being squeezed into the picture, I believe that anyone failing to assess India using a bottom-up approach - at operator and circle levels - is very likely to be shortchanged. Qualcomm's bid for BWA Spectrum: What's the Strategy? Qualcomm, a leading US based chipmaker and developer of advanced wireless technologies, announced recently that it will be participating in India's upcoming auction for Broadband Wireless Access (BWA) spectrum. In fact, Qualcomm’s participation is now officially confirmed in the Department of Telecommunications (DoT) ‘list of applicants’. Given that the rest of the applicants for the BWA spectrum are already operators of some merit, and that if Qualcomm is successful, it will need to tie up with local partners (per the terms of the auction), many analysts are openly wondering about the strategy driving Qualcomm’s decision to participate in the auction. Qualcomm in turn has said that if it is successful in the auctions, it intends to secure Indian partners and will co-develop its strategy with these partners in due course of time. Personally, I think Qualcomm’s partner selection as well as market-strategies will be driven by two high-level objectives. Value Added Services: In the past few years, Qualcomm has been making quite the foray into mobile content and services and has amassed quite an impressive portfolio of these products and services (E.g. : QChat, FloTV, Zeebo, etc.). If successful in the BWA spectrum auction, Qualcomm could individually, or through partners, use the spectrum to launch or strengthen these services in India further bolstering its revenue streams. Qualcomm’s strategy and motives should become clearer once the winners of the BWA spectrum auction are declared. For the time being, I would not recommend that one interpret Qualcomm’s ‘lack of an articulated strategy’ as a ‘lack of strategy’. Qualcomm is a seasoned player in the wireless world and is embarking on a strategy it has long used to spur development of its favored technology: jumping in the market itself. It did so with CDMA, as the biggest example, and it was wildly successful. Qualcomm plans on launching TD-LTE in India. TD-LTE also is known as LTE TDD (Long Term Evolution - Time Division Duplex), and is part of the 3GPP specifications for next generation cellular technologies. The other variant of LTE is LTE FDD (Long Term Evolution - Frequency Division Duplex). While I am not going to go into the differences between these two variants, the important thing to note here is the fact that LTE TDD is currently used primarily only in China. LTE FDD is the ‘international’ variant of LTE that is being deployed in Europe and the Americas. TD-LTE is capable, at least theoretically, of delivering downlink connections of 100 Mbps or more; and this is significantly faster than the current generation of WiMAX. The WiMAX forum hasn’t taken lightly to Qualcomm’s bid in the BWA spectrum auction - probably because of the confusion TD-LTE’s capabilities creates in the minds of BWA spectrum auction winners, due to (2) above – and has started trash-talking TD-LTE. Not to be outdone, Qualcomm has responded to these ‘allegations’. The war of words has begun! Here's a nice pic detailing the evolution of wireless that I found online. The deadline for submitting interest in India’s upcoming 3G & BWA (Broadband Wireless Access) spectrum auctions finally closed on Friday last week. India's Department of Telecommunications (DoT) said on its website that it received applications from 9 firms to participate in the 3G spectrum auction and 11 firms to participate in the separate BWA spectrum auction. India has put on the block three 3G slots in most of its 22 telecoms service areas, while two slots per service area are up for grabs for BWA radio airwaves. India hopes to raise INR350 billion ($7.61 billion) through the auctions and will use the proceeds to bridge the fiscal deficit that is estimated to be 5.5% of gross domestic product in the year which begins April 1. The DoT will publish a list of pre-qualified bidders on March 30 and mock auctions are slated for April 5 and 6, with the final 3G auctions on April 9 and BWA auctions two days after the close of 3G auctions. The successful bidders would be allowed to offer 3G services on a commercial basis from Sept. 1, 2010. Following is the list of applicants for the auctions. While it looks like the applicant list is primarily filled with the usual suspects, there are a few new names in the mix that warrant some interest. Some of the names that caught my attention are: Videocon Telecommunications Ltd (earlier known as Datacom Solutions Pvt. Ltd., Videocon is a new telecom operator holding licenses to offer services across India's 22 service areas), Augere (Mauritius) Ltd (a Mauritius-based fixed WiMAX services provider with no known operations in India), Infotel Broadband Services Pvt Ltd (a part of the HFCL (Himachal Futuristic Communications Ltd) Group, manufacturer of indigenous telecom equipment in India), Qualcomm Inc (a US-based wireless chip-maker and developer of the CDMA standard with no known wireless operations in India), and Tikona Digital Networks Pvt Ltd (India based fixed WI-BRO services provider). While these developments are definitely good news in the sense that things are finally moving ahead in the wireless space in India, it is to be seen whether the successful bidders will be able to recoup their massive outlays in a reasonable length of time. With only 7% of Indian mobile subscribers owning 3G enabled phones, I have argued in an earlier post that it might take a while for 3G services to catch on in India. The saving grace however is that these days, most new devices hitting the market are 3G enabled. So as customers upgrade to the wide array of devices available, they can begin to enjoy the full benefits of 3G services. Also, the 7% of subs who already own 3G phones, can begin experiencing 3G as early as September 1 (depending on the buildout). Those of us who lived in India in the early part of this decade have all witnessed the optic-fiber buildout in India (remember all those dug-up roads?). So when residential customers (in most major cities) can get high-speed broadband over optic-fiber cables at speeds (and possibly, prices) that 4G/WiMAX cannot match, will customers opt for 4G/WiMAX broadband services? 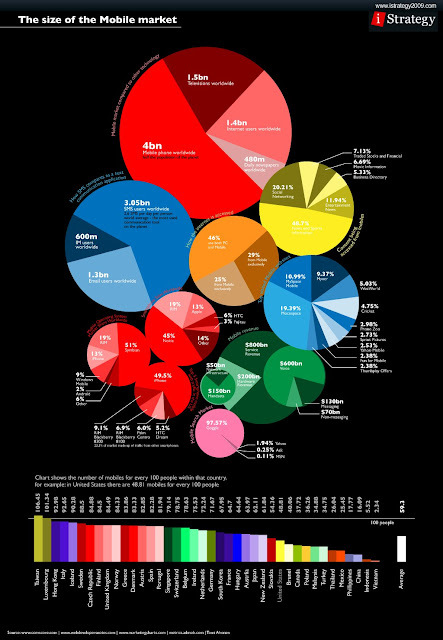 India's 2010 Internet penetration is expected to be around 100 Million – or about 10% of the population. Most of these users are tethered users, and include both broadband and narrowband users. Will these users value ‘mobility’ over ‘speed’, especially in light of (a) above (remember, Indians are a cost-conscious set)? 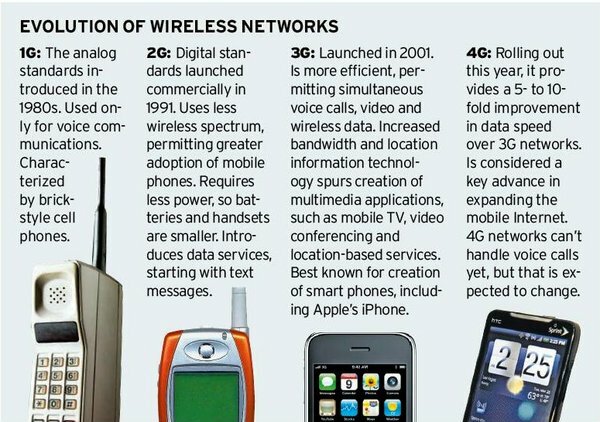 From a wireless perspective, 4G/LTE/WiMAX phones are still early in their evolution, so we can’t expect to see many of these devices soon. So with USB dongles being the default device for 4G services, it is pertinent to ask – ‘what is the size of the addressable market for USB dongles’? To the above complications, throw in additional considerations like ‘Mobile Number Portability’, ‘Price Wars’, ‘App store conflicts’, etc. 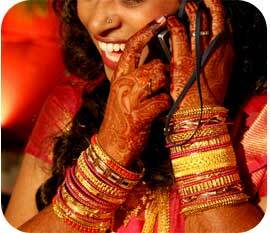 and it looks like the Indian wireless market is ripe for some ‘Bollywood’ style drama over the next few months. The only thing that is crystal clear in all of this: the Indian wireless customer is set for some exciting times ahead. There is a lot of noise in the wireless world about 3G vs. 4G, WiMAX vs. LTE, which carrier is following what strategy, who is in the lead and who is not, etc. This dizzying array of information and “expert” opinions is sure to overwhelm even the most seasoned wireless industry professionals. So for all non industry observers, this must surely be confusing to say the least. Which technology provides the fastest speed (to my data hungry devices)? Which technology will be available to me the earliest? Speed: From the chart above, you can see the various 3G and 4G technologies available (or are ‘coming soon’) and their relative speeds. You will find a lot of headlines like “TeliaSonera boosts LTE to 100Mbps” scattered all over the internet. But all of this data is meaningless. It’s like saying “you can drive at 200 miles per hour on I-495”. In reality, the speed you will be really driving at is dependent on speed limits, the traffic at that time of the day, the number of lanes on I-495, etc. Likewise, in the chart above, the “average throughputs” are more relevant. It’s akin to saying “on average, you can drive your car at 60 miles per hour”. Bear in mind however, that this average throughput is also dependent on a number of factors, just like in the driving example. Time to market: Currently, in the US, WiMAX is in the lead. Clearwire has already rolled out its WiMAX service in a bunch of markets and is moving ahead with more rollouts at full steam. Verizon has also been making noises about how it plans on rolling out its LTE service to its top markets by the end of the year. AT&T plans on launching LTE only in 2011, and for now just plans on upgrading its HSDPA network to HSPA+ As a customer, what do you really care about? Do you care about the “technology” you are on, or are you more concerned about ‘having the best devices on a fast network’? Think about it, if a WiMAX iPhone were to come out next month, customers would line up to buy the devices just because it’s a super-fast Apple device. Devices: For customers, this is where the rubber really meets the road. Did you know that all 4G technologies, will initially offer only USB dongles? There are only a handful of 4G enabled handsets in the world today. In fact, there are recent rumors that Sprint is set to launch the first 4G/WiMAX phone in the US as early as next week (note that 4G/WiMAX USB dongles have been available for a while). But don’t be rushing out to buy your 4G phone yet. If you live in an area where there is no 4G coverage, the phone will automatically default to the 3G network associated with that device. Finally, also note that your devices (yes those fancy phones that set you back by a couple of hundred dollars each) aren’t backward compatible with 4G. In other words, when your town finally gets 4G – you will have to upgrade! 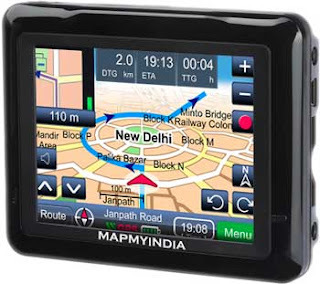 MapMyIndia, an Indian startup funded by Kleiner Perkins Caufield Byers, Sherpalo Ventures and Nexus India Capital recently announced the launch of its sophisticated GPS Navigator called the Road Pilot for Rs 7990 (about $180). The product provides real time GPS navigation to users and it comes with complete maps of 620 Indian cities, 576,000 towns and villages; 30,000 tourist locations, and 2 million unique destinations. The company, whose operating model is much like that of Garmin and TomTom aims to be the premier GPS device and service provider in India. Even though I personally prefer stand-alone GPS devices in my car to one that’s running on a phone (it’s a convenience thing), recent flame-outs like Vodafone’s Wayfinder points to the fact that consumers prefer free navigation services to paid ones. In the US too, we saw the launch of Google’s free turn by turn navigation service for Android, decimate Garmin’s & TomTom’s stock prices. Google already offers Google Maps in India, and it can apparently navigate like a local. It’s just a matter of time before Android devices in India are updated with real-time turn-by-turn navigation. In addition, Nokia (which by far has the lion’s share of the Indian mobile phone market) is also gearing up for a fight with Ovi Maps. So the question is – will ‘MapMyIndia’ go down in flames like its developed world counterparts, or has it learnt a thing or two (and has a strategy to compete)? I already referenced a Pew Study in one of my earlier posts that pointed to the fact that US consumers are already consuming a large chunk of their news online. In addition, mobile access to social networking sites is growing faster than access via traditional PC’s. While all of these data-points bode well for established businesses, it also means that native iPhone developers will find it harder to differentiate and compete with the heavyweights. 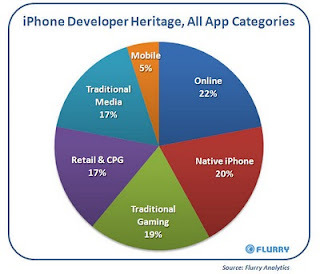 As expected, Flurry believes that native apps may make up an even smaller piece of the overall pie in the future. Even though the Flurry study just focused on iPhone apps, the findings are relevant to app developers across all mobile OS platforms. In this ultra-fragmented app marketplace and given the competitive pressures, app developers must now face up to the fact that going forward it will be extremely challenging to create a ‘sticky’ app. That said, customers still have needs that aren’t being satisfied with available apps. 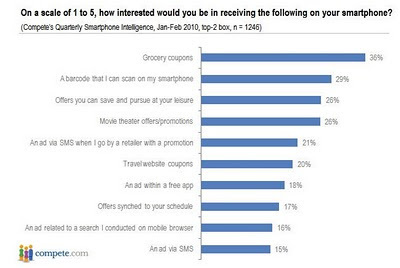 So what are customers looking for? This survey by Compete should point you in the right direction. The following LTE & WiMAX Myths & Realities, originally published on the Clearwire Investment site in 2007-08, has been extensively distributed on Internet discussion threads and blog sites. So here it is – presented once gain for your viewing pleasure. Do you agree with these myths and realities? Do these assertions hold water given what we have seen and heard in 2010? Myth: LTE is backwards compatible with 3G. Reality: Strictly speaking, backwards compatibility implies that a 3G device can connect to an LTE base station. This is categorically not the case. LTE requires new base stations and new client devices. An HSPA handset will not be able to connect to an LTE base station, period. Myth: The LTE standard is complete. Reality: The LTE standard recently entered a phase where revisions are now under change control -- generally, this phase happens in 3GPP when a spec is 80% complete. The stated 3GPP target for “completion” is October 2008 and then the real work can begin to fix bugs and agree upon interoperable vendor equipment profiles. In contrast, the mobile WiMAX spec was ratified in Dec 2005; 5 plugfests occurred between July 2006 and Oct 2007; and mobile certification began in Jan 2007. Myth: LTE performance is better than WiMAX. network is deployed in 2010, it may have superior performance initially. It is possible to add LTE to existing 2G, 3G cell sites -- similar to how Sprint is re-using 70% of its existing EV-DO cell sites for its WiMAX deployment. Myth: Operators will replace their existing 2G/3G networks with LTE. Reality: We expect operators to maintain their existing 2G or 3G networks for the foreseeable future. These networks are very efficient for voice and have built up good coverage over the years. Similar to WiMAX, LTE will initially be deployed as an overlay data network in new spectrum. Operators will offer multi-mode handsets (e.g,. HSPA + LTE or HSPA + WiMAX) to provide the best of both worlds (coverage + high speed) to their subscribers while they build out their 4G networks over several years. Myth: For existing 2G or 3G operators, the migration to LTE is easier than it is for WiMAX. Reality: In the first two Mobile WiMAX deployments by major carriers with existing 3G networks (KT and Sprint), both have adopted dual mode handsets so their users can seamlessly roam between their existing 3G networks and their new WiMAX networks. WiMAX equipment suppliers and operators are working closely within 3GPP to ensure that operators with existing 2G or 3G networks can deploy WiMAX as easily and at similar or lower costs to LTE. Optimized interworking between WiMAX & 2G / 3G networks enables operators to maintain their existing networks for voice & ubiquitous coverage while building out their high speed WiMAX network for broadband data capacity. We have found operators very supportive of WiMAX-3GPP interworking as it creates a safe, viable choice in WiMAX for their 4G technology decision. Myth: WiMAX will not have the same economies of scale as LTE. Reality: Intel’s first generation Wi-Fi + WiMAX embedded module has been touted as having come out at a cost to PC OEMs of less than HALF the cost of 3G-only embedded modules, even though 3G modules are relatively mature. Combine these “PC economics” with the 2+ years of TTM WiMAX has -- during which it will travel down the cost curve -- and we are not expecting the WiMAX ecosystem to be cost disadvantaged. Reality: We expect WiMAX & 3G to be complementary. Whereas the circuit-switched voice offered by 2G & 3G networks is very efficient, WiMAX provides about 3x more data capacity than today’s 3G networks. This means operators can maintain their existing 2G or 3G network for voice & narrower-band data, and deploy WiMAX for more data intensive applications. This is exactly what both KT (HSPA + Wibro) is doing and Sprint (EV-DO + WiMAX) is planning. Reality: Even with the very first commercial Mobile WiMAX network in So. Korea, we’ve already seen a level in the variety of devices which exceeds that available for 3G today. For example, one of the most popular form factors for accessing the Wibro network are WiMAX USB dongles with integrated MP3 players and/or storage. PC economics and innovation are backing WiMAX -- so one shouldn’t apply a traditional “telecom” device model when comparing WiMAX & LTE. We also expect the M-Taiwan initiative and the KDDI consortium in Japan to help drive a level of device innovation not seen before for a new wireless technology. Myth: WiMAX & LTE are going to converge. Reality: Because WiMAX & LTE are so similar, some believe the two should converge. We’re not sure if such convergence will ever get traction, but for now, mobile WiMAX is two to three years ahead of LTE in terms of major commercial deployments and is moving full steam ahead. Finally, whereas WiMAX has great traction in the 2 GHz band between Sprint, Clearwire, KT, Japan, Taiwan, Russia -- LTE spectrum is starting off fragmented. Verizon & AT&T have “unconventional” spectrum for LTE (1.7 / 2.1 GHz, maybe 700 MHz) -- bands which may end up being somewhat unique for LTE deployment, reducing economies of scale. 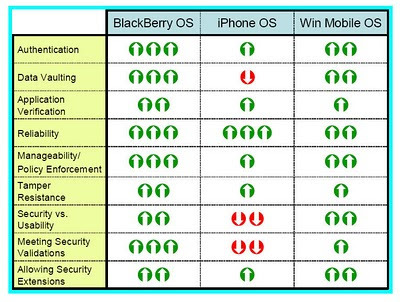 Research In Motion, the makers of the popular BlackBerry platform and devices recently released a whitepaper titled “Choosing an Enterprise-Class Wireless Operating System: A Comparison of BlackBerry, iPhone and Windows Mobile” that lays out the various factors that an enterprise should consider before selecting a wireless operating system. While obviously this paper is aimed at making BlackBerry look good among its competitors, I think that the factors to be considered (as mentioned on the whitepaper) are both relevant and appropriate. Given below is a comparison of how the BlackBerry rates among its peers (iPhone and WinMo). Also included is a brief explanation of the factors that the operating systems have been rated on. Authentication: Capabilities on the device to ensure that only the approved user of the device is allowed to access the functions and data on that device. Examples of such security features include: passwords, two factor authentication (e.g., tokens, smart cards), and biometrics. Data Vaulting: The ability of the device to safely store data, including securing data stored on any external storage, (e.g., SD cards). A best-of-class device should have the ability to granularly select files and functions that need encryption (e.g. company files) and those that do not (e.g. MP3s, photos). Application Verification: Mechanisms on the device for verifying that an application is indeed “who and what” it claims to be. Enterprise-class mobile platforms include a method for assessing signatures of various applications that, when checked by the device, can distinguish between an authentic, non-tampered with application, from one that has been modified and/or contains suspect code. Reliability: Pretty self-explanatory. Any enterprise-class mobile OS should exhibit the reliability end users expect from a robust mission-critical device. This means that the device should never simply decide not to work (e.g., “Blue Screen”), or require unexpected re-boots. Manageability and Policy Enforcement: Capabilities on the device and device platform for remote management, including individual and group settings for all aspects of the platform like set up, monitoring, uploading, display of device characteristics, asset management, lock down and kill, re-imaging to a new device, OS software upgrades, etc. Tamper Resistance: This refers to the capabilities built into the device platform to allow the enterprise to discover whether any device has been “hacked” to alter the base level OS. As smartphone malware becomes more prevalent, these capabilities will become mission-critical. Security vs. Usability: While it is important to maintain the highest level of security possible, this must be done while maintaining the usability of the apps and end user interface. Creating an environment that enables maximum usability while maintaining the integrity of the system requires a delicate balance. Meeting Security Validations: Many industries require that devices be validated and approved by governmental agencies to ensure that they meet stringent security testing and specifications before they can be deployed to mobile workers. While a number of devices claim to be “compatible” with security standards like FIPS-140-2 encryption, it is imperative that they have been tested and approved by a validated testing agency and not just offer claims of compatibility. Allowing Security Extensions: No one vendor can provide everything necessary for all circumstances now and in the future. Therefore, an ability to extend the security model should be provided by the vendor through an API.